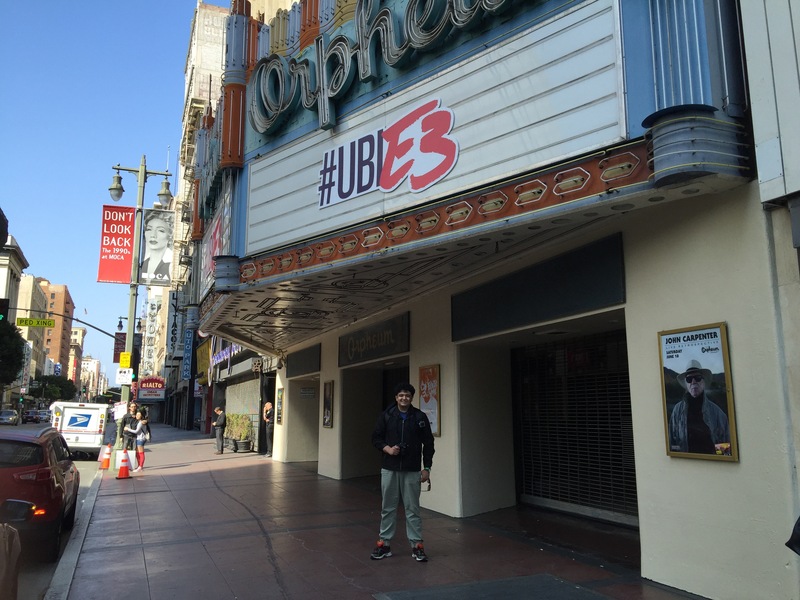 Between the 12th to the 16th of June, I had the incredible opportunity of going to E3 2016 in Los Angeles, California thanks to the Ubisoft and For Honor community reporter competition. This was an experience that still keeps me awake at night and I often wonder if it was even real! You can watch the video that helped me win right here, as well as the daily vlogs that I watch every few days to remind me of just how lucky I am and how badly I want to go back. Being a community reporter, I created a few videos that offered a glimpse into Ubisoft’s epic presence at E3 show floor, an unpacking video of all the cool loot I was able to snag while at the show as well as an interview with the legendary Jason VandenBerghe. Unfortunately, I did have another interview video that I shot but audio problems let me down and I was unable to post it. I don’t mean a simple echo issue or some minor feedback, the audio literally sounds like a duet between Starscream and Skeletor. An unfortunate situation indeed but I decided that I’d add some variety to my productions by transcribing it into an article! Below, is my interview with the fantastic community managers from the For Honor team; Emile Gauthier and Eric Pope, who are also known as the Space Elephant and Mr. Pope respectively. 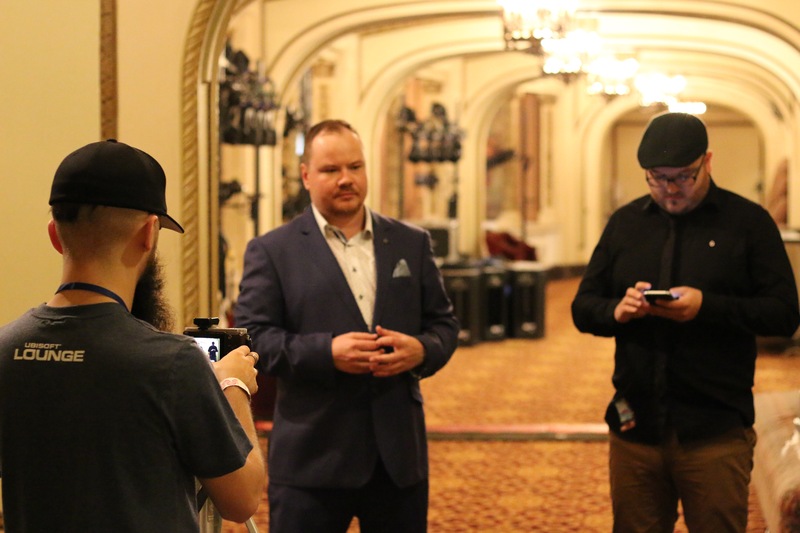 The interview took place at the stunning Orpheum Theatre. This is Robin from All About Robin.com, clearly because I’m the only person on the website. I’m here with some very special guests, Emile Gauthier and Eric Pope, but you may know them as The Space Elephant and Mr. Pope online! These are our lovely community managers of “For Honor”, and yes we did all yell it at the same time. We just got out of the Ubisoft conference, which was just brilliant. We saw the new “Ghost Recon”, “Watch Dogs 2” and of course “For Honor”. Which, again, thank you for your work on it. Something like this actually exists. “For Honor” is the incredible new game coming from Ubisoft, which has the Vikings, the Knights and the Samurai. I feel like the Samurais are very underrepresented, so I’m a Samurai from now on. I just want to talk to you guys about the development of the game, and finally showing everyone the campaign. As a fan of ingle player games in general, thank you so much! I’m going to enjoy being a samurai, and a knight….and a Viking to even though I can’t actually represent them too *strokes non-existent beard*. Sounds like a dream come true to me. You can follow them on Twitter below for the latest on “For Honor” as well as the main twitter account for the game. Emile Gauthier, Eric Pope and For Honor. For Honor launches February 14th, 2017 on Valentines day. If you have a special someone, don’t worry, the game does have co-op.